Carrot cupcakes with cream cheese filling We put the creamy filling on the inside of our carrot cupcakes, because, why not? It’s different totally delicious and mouth 👄 watering dessert. Some filling will get absorbed into the cake during baking process. Making the extra moist, flavourful cupcakes. The rich sumptuous cream cheese filling plus additional butter cream frosting. So let’s start to bake. Put the cream cheese in microwave and heat at low power for 40 seconds Dnt over heat. Stir in 1/4 cup granulated sugar or you can use hand mixer beat until become smooth.set aside while making the batter. Whisk together the: flour, sugar, light brown sugar,baking powder, baking soda, cinnamon powder, ground ginger and salt. In separate bowl add egg, water vegetable oil and sour cream whisk until well combined. Stir the wet ingredients into the dry ingredients then add grated carrot mix well until incorporated. Line up cupcakes liner in the cupcakes pan scoop about 1 1/2 tablespoons of cake batter in cupcakes pan spread to cover the sides. 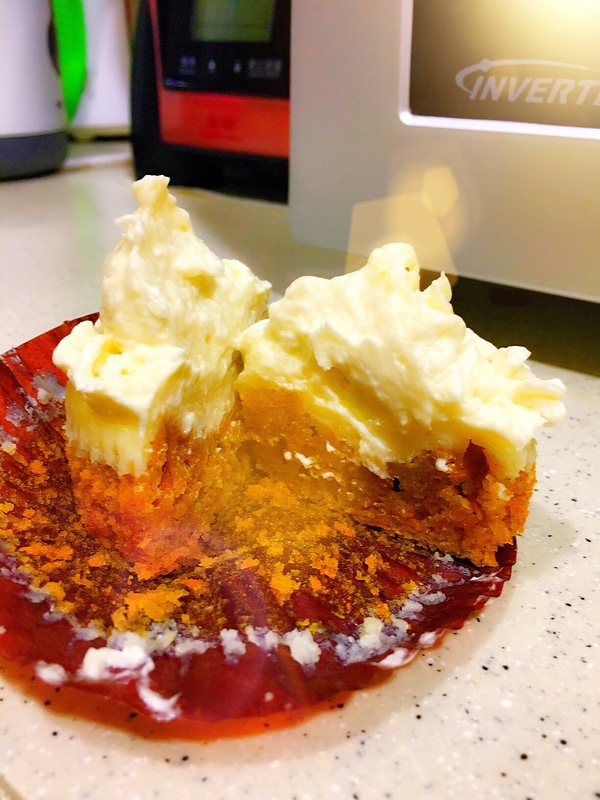 Drop a heaping tablespoon of cream cheese filling on the top of the cake batter. Then cover the cream cheese filling with the cake batter. Bake for 17 minutes. They are done when you insert toothpick comes out clean. Remove the cupcakes in the oven let it cool completely before frosting. Beat the butter medium speed using hand mixer until pale and smooth then vanilla extract and gradually add on the powdered sugar continue beating until stiff peaks and fluffy. 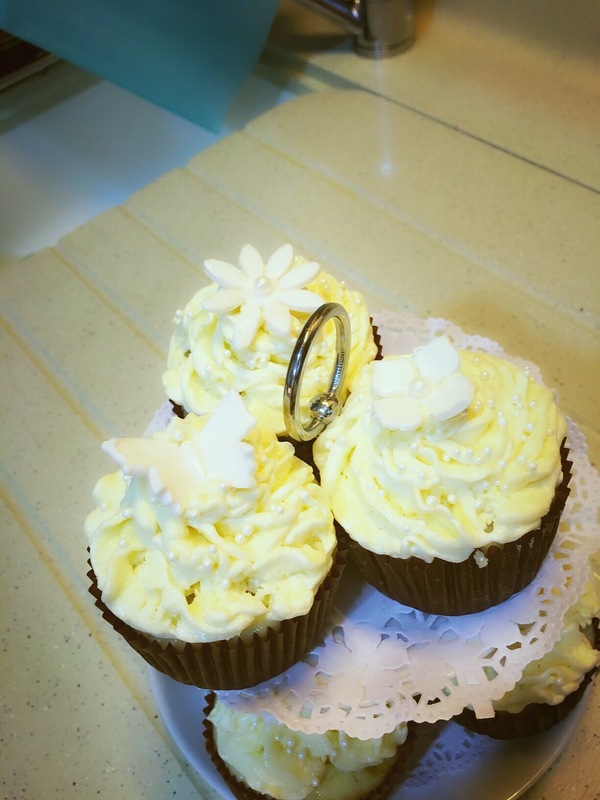 Pipe the butter cream frosting on the cupcakes I used the open star tip then add some decorations as you like…. enjoy 😊 eating…. These cupcakes look delicious! We have a Christmas party to attend this weekend and I need to take a few items…these will be perfect! Also…thank you for following my blog! These cupcakes look too good to be true. 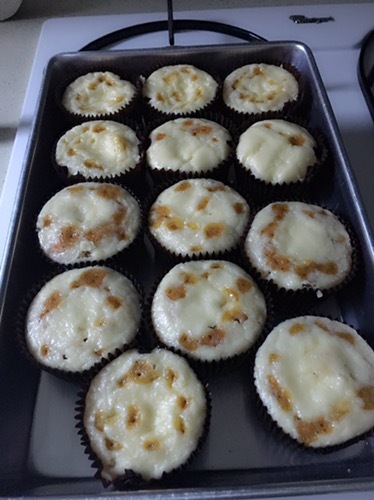 I love carrot cake but I never thought of making them into cupcakes. Great idea! mmm. . . they look incredible.